Children have a special bond with their grandparents. I often listen to the animated discussions that Junior has with his Grandma. They have a world of their own with imaginary friends, frequent space and time travel and customized vehicles. 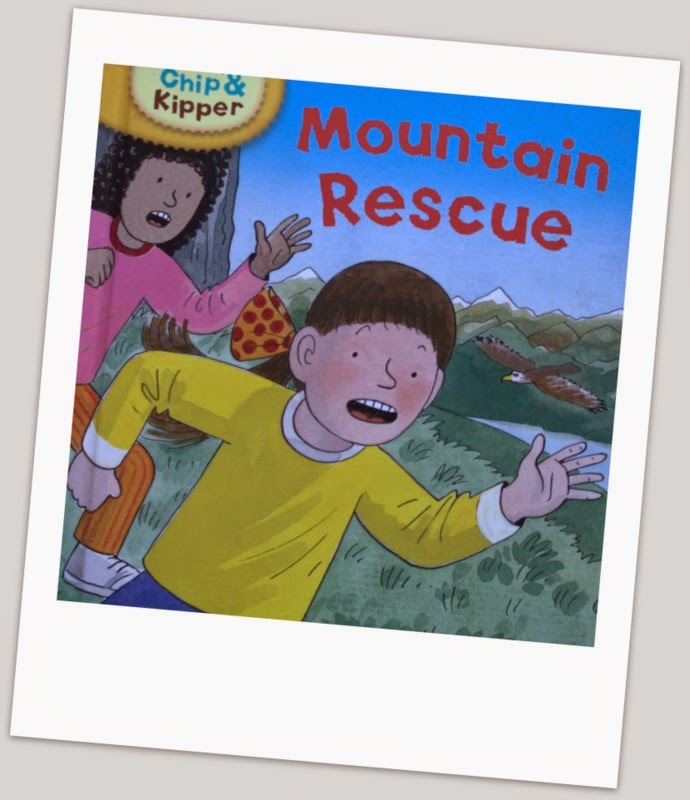 Biff, Chip and Kipper are always a part of their adventure. Biff, Chip, Kipper ….WHO? I have often had to answer my friends and family who chanced to overhear Junior- Grandma’s flights of fantasy. Biff,Chip and Kipper are the characters from Oxford Reading Tree series. We met 2 years ago. Junior had just started reading sentences and I was eager to introduce him to the wonderful world of books. I came across an award winning website Oxford Owl. .It has an excellent collection of ebooks and option to buy printed books for ages 3 to 11. 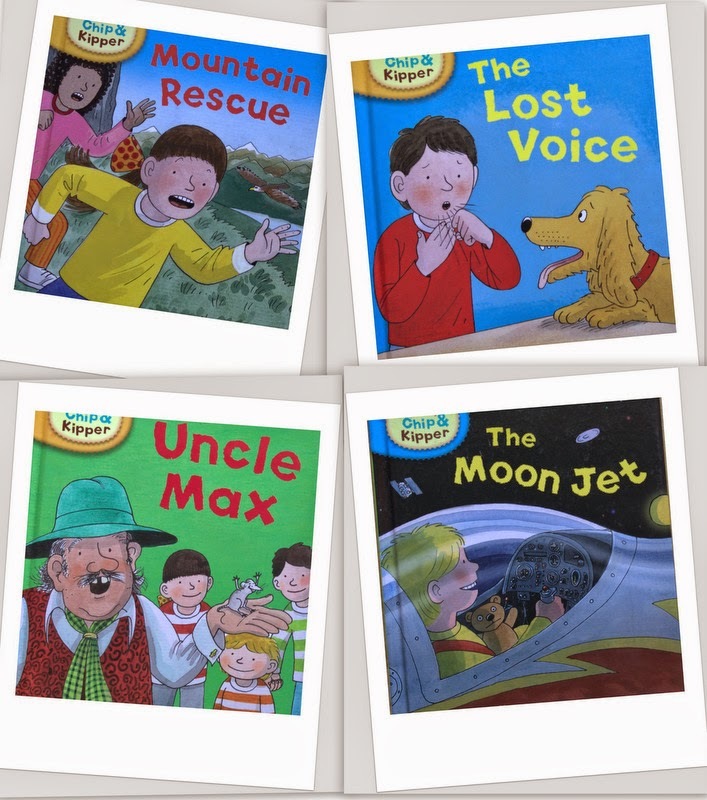 Biff, Chip and Kipper Series are a must have for all Early readers. 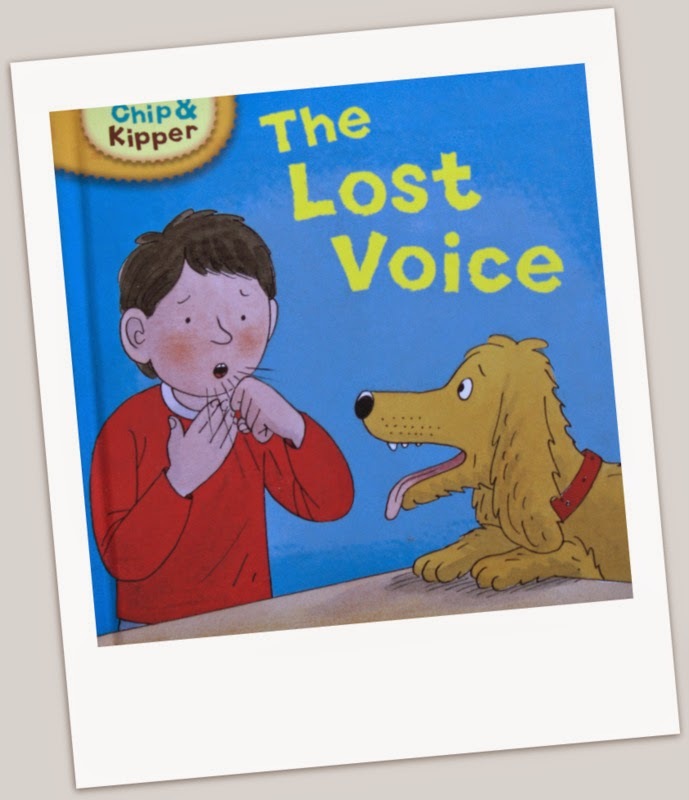 It is a collection of adventures that Biff, Chip, Kipper and their dog Floppy embark on. The stories are interesting with bright and vibrant illustrations. The stories aren't long so the child can read them without getting bored. The series has two sets of books – Phonics and First Stories for each difficulty level 1 to 6. Each level has four Phonics and four First Stories. The Phonics helps the child practice reading by decoding the sounds in words. The First Stories provides further reading practice. The Phonics set has interesting stories. The sentences are short and simple. It emphasizes on letter patterns and their sounds. It deals with easy ‘a’, ‘b’, ‘c’ sounds as well as the difficult ones like ‘ch’,‘sh’ sounds. The first page gives the list of words with the particular letter pattern that the child will learn in the book. 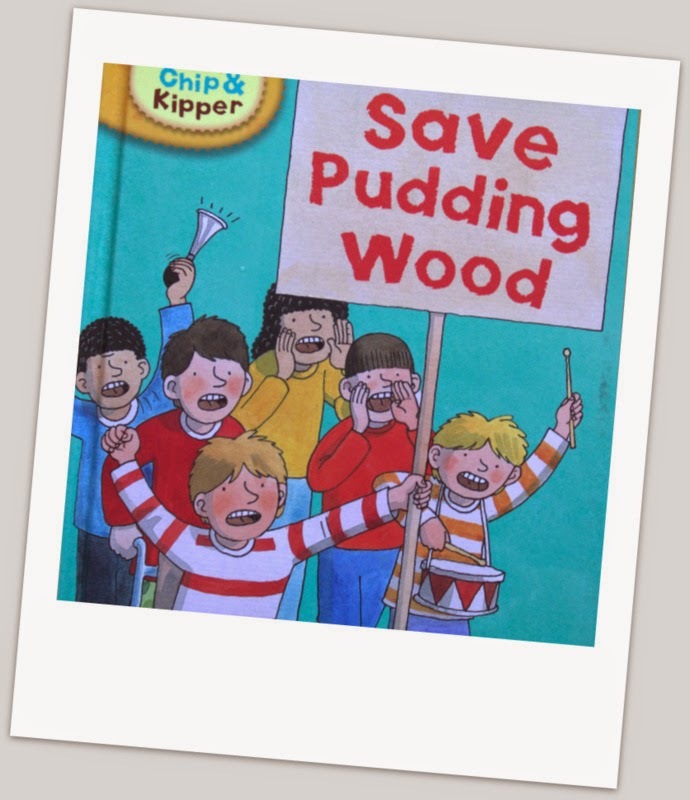 In ‘Saving Pudding Wood’ Level 6: Phonics, Biff, Chip, Kipper and their friends and family save Pudding wood from being destroyed. Throughout the story the sentences have words with ‘oo’,’u’ and ‘oul’ as in pudding, good, would . The first page lists these and similar words that the child will come across in the book. The First Stories are fun to read and full of adventure. In ‘Mountain Rescue’ Level 6: First Stories, Biff and her friend Wilma come across a magic music box which transports them to a mountain railway station. They help rescue an eagle egg from being stolen. They trek, travel in mountain train. There’s a Mountain Rescue helicopter too. ‘The Lost Voice’ Level 6 : First Stories is a humorous one in which Chip has a sore throat and has lost his voice. His dog Floppy goes looking for it all over the house. Both the sets Phonics as well as First Stories have ‘Tips for reading together’ and after-story comprehension questions for each book. They also have a fun activity page for the child. The books have hardback with glossy wipe clean covers. They are small and easy to carry for children. Oxford Reading Trees – Biff, Chip and Kipper series are a must have for all Early Readers. It is a wonderful way of getting the child interested in reading. It worked for Junior. Hope it works for you too!!! !